Doncaster RLFC have signed USA international Loto Tagaloa on loan from Sheffield Eagles until the end of the season. 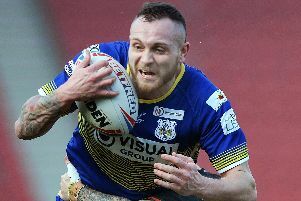 The 28-year-old centre will go straight into the squad for Sunday’s home clash with high flying Halifax. “We’ve been looking to bolster our squad going into the final stages of the season and I’m delighted to bring Loto in from Sheffield,” coach Gary Thornton told the Dons’ official website. “He’s a big, strong, athletic player that can cover a number of positions. “He’s played at a high level having been part of the USA World Cup squad.